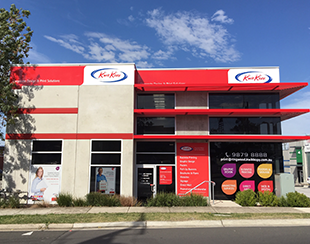 Kwik Kopy can provide everything from design advice and branding assistance to stationery and poster printing, photocopying and catalogue collating. Ringwood is rated 4.9 out of 5 by 23. Rated 5 out of 5 by Miss Cinnta from Excellent service and top quality products! Kwik Kopy delivered top quality products well within the time frame I requested. Their service is second to none. Rated 5 out of 5 by GlennR from Excellent service and turnaround times I needed design and production of a pull up banner for an interstate trip. Very short turnaround time, but Griffin was extremely helpful and efficient. Fantastic service and design was exactly what I was looking for. Highly recommend. Rated 5 out of 5 by salbop from Great service from people that really care!!! Kwik Kopy always help me out with all my printing needs, very helpful!!! Rated 5 out of 5 by Gazman50 from Continued Excellence I have been using Kwik Kopy Ringwood for my printing since I opened my Cooking School in 2011. The prompt attention to my requirements will ensure I remain a customer with them. Rated 5 out of 5 by KBar from Always helpful I've used Kwik Kopy Ringwood a few times now for business and they have always been helpful and efficient. Rated 5 out of 5 by Brendan from Friendly, professional staff and quality products I re-visited Kwik Kopy recently to produce some new items for my business and once again was very pleased with the final products and service received. The friendly personal attention provided by the staff, led by the business owner, is second to none and I have no hesitation recommending them to others who require assistance with their print media.